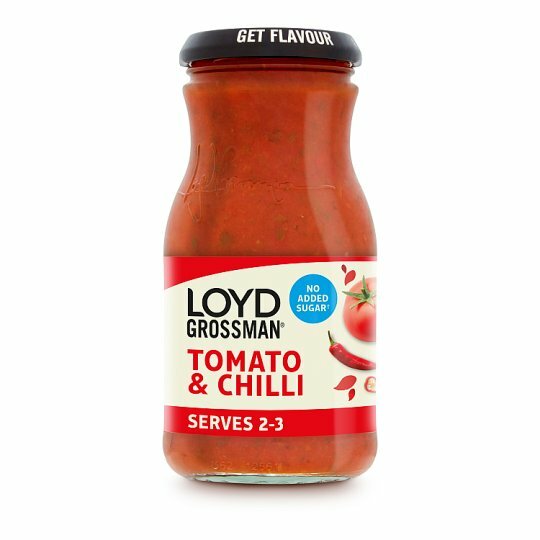 For recipe ideas and inspiration visit www.loydgrossmansauces.co.uk and follow us on Twitter @LoydFood. "My sauces use the right combination of carefully chosen ingredients to make sure that you always get vibrant flavour." 1. Simply cook your favourite pasta and drain. 2. Heat the sauce gently in a sauce pan stirring often. 3. Stir the hot sauce through your cooked pasta for a delicious meal. Please ensure food is fully cooked and piping hot throughout before serving. Natural separation is possible so shake well before use. If you have any problems with my sauce please keep this jar and contact the address below or phone 0800 389 8548 (ROI - 1800 93 2814). Freepost Premier Foods Consumer Relations.